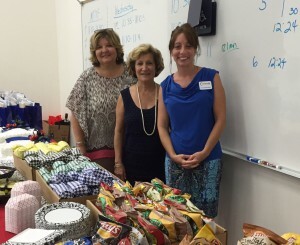 Mirtha Barzaga, a top producing Realtor with Davidson Realty, Inc., recently unveiled a charity program to provide ongoing support to Wards Creek Elementary School, Pacetti Bay Middle School and Nease High School. As part of the program, the Barzaga real estate team and associated vendors will contribute a portion of business generated or referred by the schools’ teachers and faculty back to the schools. Vendors include Bank of England, Donna Mancini Staging & Redesign, Inc., Kimmie’s Cleaners & Angel Painting, Citrus Carpet & Tile Cleaning, AB Mobile Tint, Salameh Group and Old Republic Home Protection. 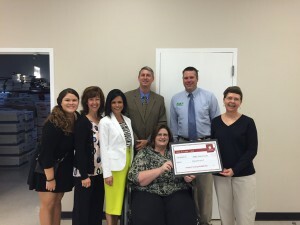 Davidson Cares and INK Team up to Donate $30,000 in Grants to St Johns County Schools! Davidson Realty’s charitable foundation Davidson Cares is proud to celebrate its biggest year yet thanks to Investing in Kids (INK)! Davidson Cares and INK (formerly known as St. Johns County Education Foundation) came together to deliver $30,000 in grants to our local public schools, including Wards Creek Elementary, Mill Creek Elementary, Palencia Elementary and Pacetti Bay Middle School. We are pleased to announce that Davidson Realty’s corporate giving program, Davidson Cares, successfully raised more than $2,000 from its Leprechaun Chase 10k/5k and Kid’s Fun Run on Saturday, March 7, held at World Golf Village’s town center! The race included 220 runners and walkers whose entries helped Davidson Cares raise funds for local schools, including Mill Creek Elementary School, Wards Creek Elementary School, Palencia Elementary School, Pacetti Bay Middle School and Nease High School. More than 40 children participated in the one-mile Kid’s Fun Run around World Golf Village’s Walk of Champions. Thank you to the Awesome Local Businesses Supporting our Schools – Introducing Davidson Cares’ $500 Sponsors! Davidson Cares Kicks Off School Year With A+ Title Sponsors! Davidson Cares, the corporate giving program of Davidson Realty, Inc., is thrilled to welcome its newest Title Sponsors for the 2014-2015 school year! This year’s title sponsors include MOJO Old City BBQ, Bank of England, Heekin Law and the Jacksonville branch of Charles Schwab. Title sponsors are those at the $2,000 giving level and are featured prominently in Davidson Cares’ marketing and advertising collateral and media outreach. The non-profit organization is entering its third year offering support to local schools in the World Golf Village area, including Mill Creek Elementary, Wards Creek Elementary, Palencia Elementary and Pacetti Bay Middle School. 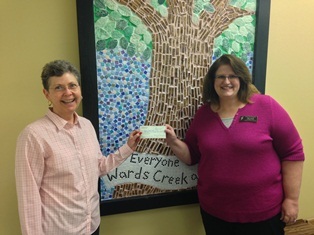 During the 2013-2014 school year Davidson Cares raised more than $20,000 for schools to help purchase books and updated technology as well as fund important programs. New Program Launched by Amazon Donates Money to our Schools When you Shop Online! Amazon.com has just launched AmazonSmile, a program formed to donate a percentage of any purchase you make on Amazon to your favorite charity at no cost to you! 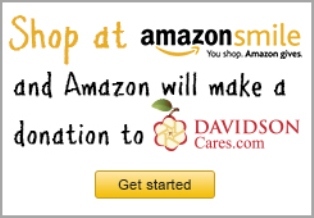 Davidson Realty’s non-profit organization, Davidson Cares, supports our local World Golf Village-based schools, like Mill Creek Elementary, Wards Creek Elementary, Palencia Elementary and Pacetti Bay Middle School, and is now registered with AmazonSmile as a charitable foundation you can donate to while doing your every day shopping online! Davidson Cares is at it again! Davidson Realty’s charitable foundation kicked off its fundraising efforts early this year with their First Annual Red, White & Boom Cookout on July 3rd, which tied into World Golf Village’s annual fireworks show, one of the largest in Northeast Florida. 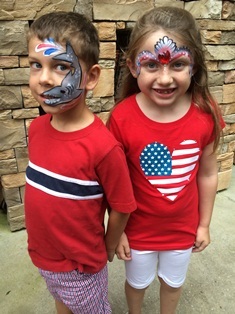 The event was held at Davidson Realty’s office building and guests enjoyed delicious bbq, family-fun games, face-painting, Mile Marker brews and more. Davidson Cares supports World Golf Village area based schools, including Mill Creek Elementary, Wards Creek Elementary, Palencia Elementary and Pacetti Bay Middle School. 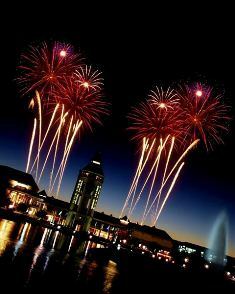 BBQ, Brews & World Golf Village Fireworks – Come out for the First Annual Davidson Cares’ Red, White & Boom Cookout! World Golf Village’s 4th Annual Fireworks Display is right around the corner and Davidson Cares is inviting all our World Golf Village friends and neighbors to join them at the Davidson Realty office building on Thursday, July 3rd to barbeque, socialize and raise money for our local schools! The family-friendly event, title sponsored by MOJO Old City BBQ, will kick off at 5:30 pm and go until the fireworks show around 9 pm. All proceeds benefit Wards Creek Elementary, Mill Creek Elementary, Palencia Elementary and Pacetti Bay Middle School. Reservations are required for the event. Tickets include parking at Davidson Realty, MOJO BBQ, soft drinks, waters, restrooms and family-fun. Cold beer will also be available on a donation basis. Tickets are $20 for adults and $10 for children under 15. Parking passes have to be purchased separately per car. The group will enjoy food and fun at Davidson Realty before walking to the PGA TOUR Golf Academy for the best view of the World Golf Village Fireworks Display! Davidson Cares, the corporate giving program of Davidson Realty, has reached more than $20,000 in donations for local St. Johns County public schools! The foundation’s second year of operation has seen an outpouring of support in donations and time given by the sponsors, the community, Davidson Realtors and contributors. The foundation’s Title Sponsors include Bank of England, Mile Marker Brewing, St. Augustine Ear, Nose & Throat and La Fontana at the Residences. 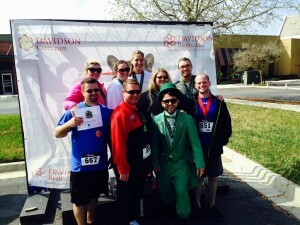 Check out all the fun had at the First Annual Davidson Cares’ 5k & Kid’s Fun Run! 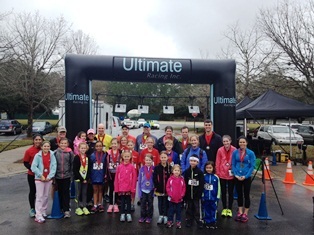 The rain didn’t stop our World Golf Village neighbors and friends from coming out to support the first annual Davidson Cares’ 5k & Kid’s Fun Run on Saturday, February 8th in World Golf Village! There were close to 100 runners that showed up in the rain, including a large group from Mill Creek Elementary school that had been training for the race for months (a big thank you to Mill Creek Elementary School’s Principal Amanda Riedl and Physical Education teacher Bob Larkin for their support). The kid’s games were a hit and Arthur Crofton from Lite 96.1 WEJZ did a wonderful job MC’ing the event. All in all, it was a great day raising money for our local schools, including Mill Creek Elementary, Wards Creek Elementary, Palencia Elementary and Pacetti Bay Middle School!